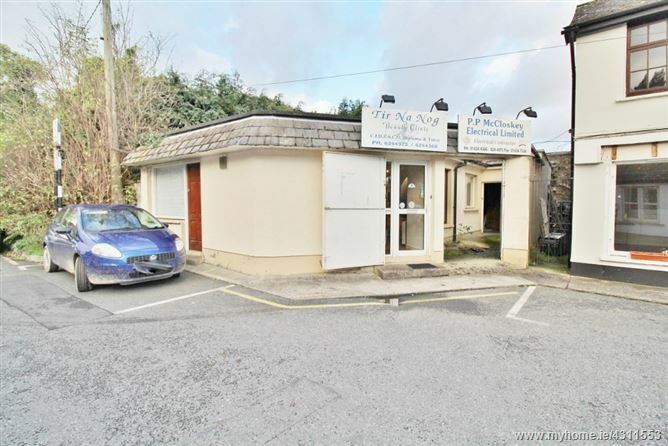 Attractive single storey property extending to 97 sq. m/ 1,044 sq. 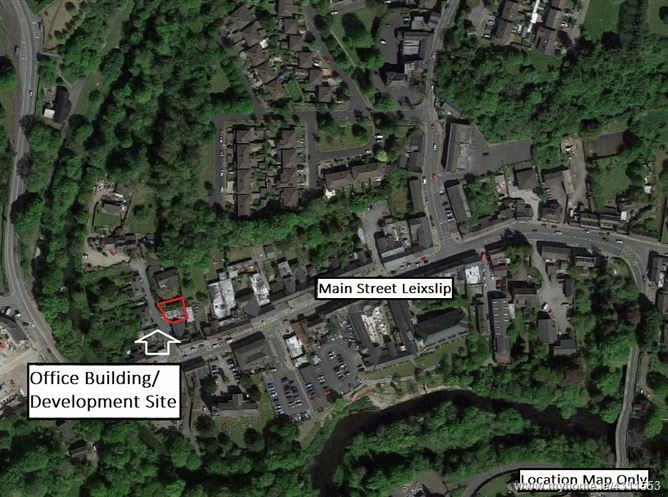 ft located in the heart of Leixlip Village. 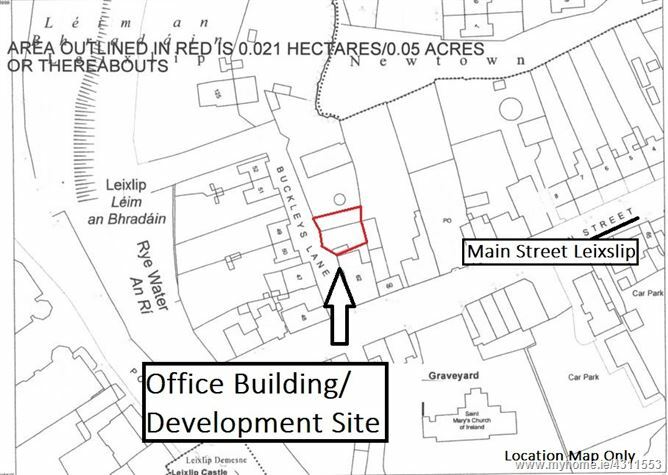 Laid out with three separate entrances, outdoor yard, four offices and a large store room. 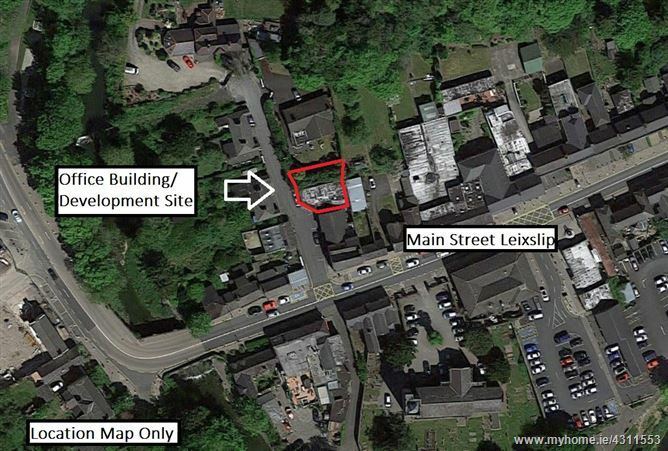 This offers an ideal development opportunity (subject to full planning permission).